Established in 1977, the Guitar Guild is a family owned and operated music school teaching all instruments. Set in an acre of manicured gardens, the Guitar Guild has become a landmark in the charming town of Palmyra, NJ. The historic home, built by the first mayor of Palmyra, is nearly 120 years old. Lovingly restored, it is a tranquil haven where students learn at their own pace. In addition to well appointed studios on four floors, the lobby is a welcoming and restful place where parents, partners and visitors can enjoy our free wifi, a good book or just relax. Cool and air conditioned in summer, and in winter a crackling fire adds to the cozy atmosphere. The Guitar Guild will celebrate it’s 40th anniversary in 2017. Renee Cappetta is the daughter of Guitar Guild founder Bob Cappetta. Renee is a highly trained and experienced music teacher. In addition to her private studio in Perth, Western Australia, she was also the head of the classical guitar program at St Hilda’s Anglican School for Girls before coming to New Jersey. She was director of the Western Australian Classical Guitar Orchestra, and her compositions for the orchestra received critical acclaim. A trained singer and seasoned performer of music theatre, jazz vocals, acapella and folk music, her many performance credits include lead roles in Into The Woods, Working, and Les Miserable. Her directing credits include Lost In Yonkers, Little Shop of Horrors and Working. Her acapella group, Acapella Belles, won a major competition in 2012, run by the Australian Broadcasting Commission. Renee holds a Bachelor of Music, and a Bachelor of Music Education. She teaches all forms of guitar including classical, acoustic, electric and bass. She also teaches voice and piano. Renee has decided to take over the family business and make New Jersey her home. The Guitar Guild was founded by Robert (Bob)Cappetta in 1977. Already a long time resident of Palmyra, Bob saw the need for a seat of culture and music in the town and surrounding areas. When he found the old house on Cinnaminson Avenue, it was in an advanced state of decay and disrepair. He brought the old home to life and for nearly forty years he taught several generations of students, many of whom went on to impressive musical careers. It is a testament to his teaching and the loyalty of his students that many also become teachers at the school. In 2015, Bob passed away, leaving the school to his two daughters who decided to continue his legacy of musical excellence. Most of our staff have been teaching at the Guild for many years. All are highly trained and qualified, holding degree level musical qualifications. In addition, they are all seasoned and experienced performers. 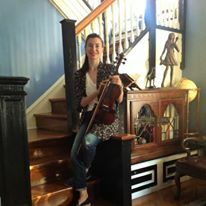 The Guitar Guild and Academy of Music welcomes violin teacher Tamara DeMent. Tamara is a versatile and sought-after musician noted for her versatility, rich tone and lyrical improvisation. She’s proficient in a variety of styles ranging from classical, jazz and rock. As well as the Guitar Guild, Tamara teaches in the Strings Faculty: Lumberton School of Music and Holy Spirit High School. Tamara has been working as a freelance player since 2001. Currently, she plays with the Dan Burke Acoustic Band, the Tim Lekan Quintet and the Gina Roche Trio. Meet Eric Polack our Drum Teacher. 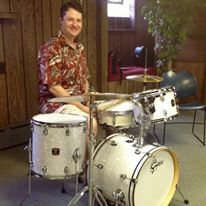 Eric has been playing and teaching music for 25 years with extensive jazz drum set experience. In addition to many years of drumming in rock and blues groups, he has performed as a percussionist in theater pit orchestras, baroque orchestras, and concert stage bands. Having grown up in the New York metropolitan area, he was able to study with some of the best jazz drum instructors and passes that knowledge down to his students. He teaches all levels, from complete beginners to advanced students. Eric is also in the Faculty of Fine Arts at Rutgers University - Camden. Formerly, he was a Senior Adjunct Instructor at Burlington County College, where he taught music history. He holds a B.A. in Music and an M.A. in Jazz History and Research from Rutgers University. 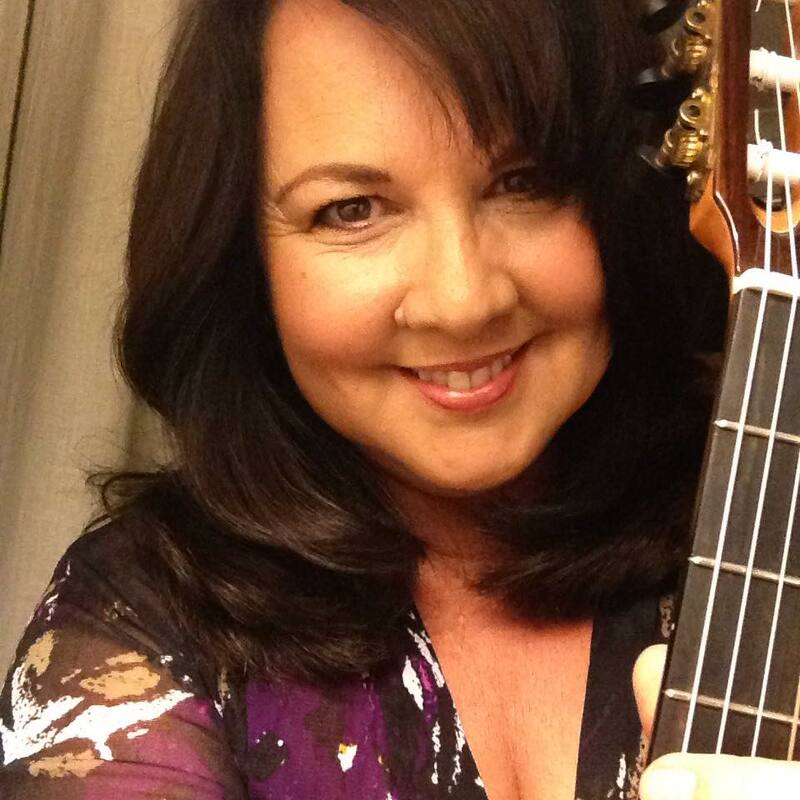 Meet our Voice Teacher, Susan Polack at The Guitar Guild and Academy of Music. Experience the joy of singing! If you love to sing but lack confidence, wish to improve your skills, want to learn new repertoire - give us a call on 856 786 1234, or PM us here. In our voice studio you will healthy vocal practice at your own pace. 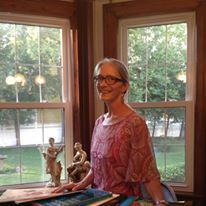 Susan Polack teaches all students from age 11 to adult, and beginners are welcome. She holds a Bachelor of Music, a Master of Music, and a Master of Arts and Teaching. Ms Polack is also an adjunct voice tutor at Rutgers University in Camden. Meet our guitar teach Michelle Rospopa. 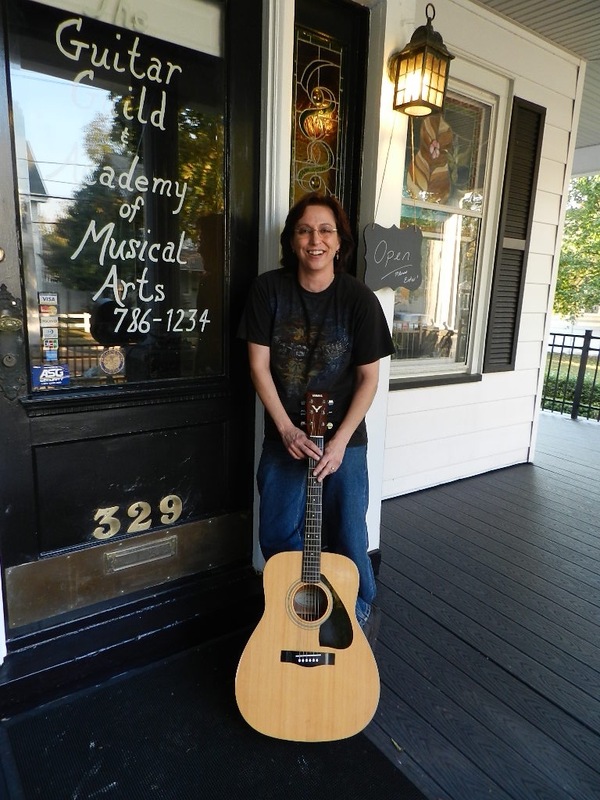 Michelle is a veteran of the Guitar Guild, first studying here from age 13, and then teaching here since 1994. Her rock band Friendly Fire produced two albums, and toured the UK. Today she composes online video games, Youtube videos and indie films. Michelle teaches various styles including rock, blues, jazz, bass, acoustic and classical. She also teaches banjo.